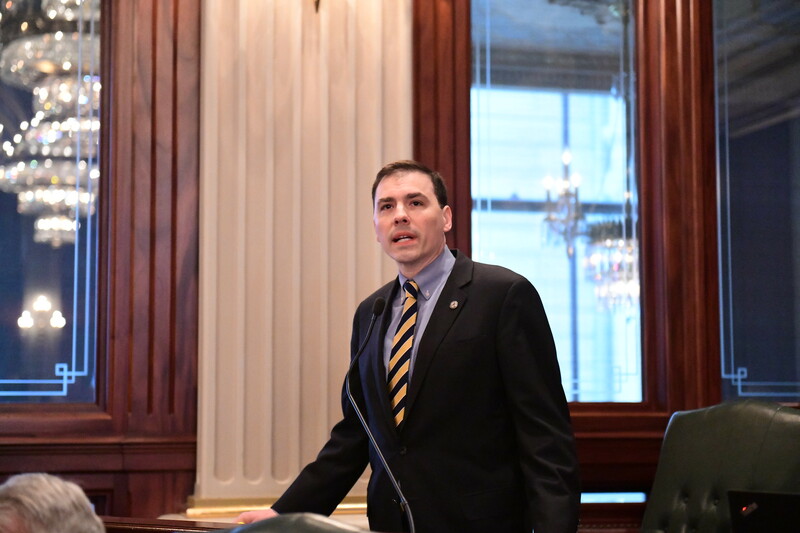 As we head into another week of legislative session in Springfield, I wanted to give you an update of news you should know about from the Capitol, and in our own community. Last week was the deadline in the House of Representatives to get substantive bills out of committee. Bills not out of House committee by Friday, March 29 were automatically referred back to the House Rules Committee and are unlikely to move forward this year. However, under House rules, the House Rules Committee does not have the power, unlike other House committees, to refer a bill directly to the House floor. In a few cases, a bill can be brought back to life by being redrafted as an amendment to another bill. The status of each of the 3,824 bills in the House can be found on the legislation webpage within the overall General Assembly website. Illinois will now be issuing “Real ID’s” in accordance with federal guidelines, which are aimed at making identification cards more secure after 9/11. There is no need to rush in obtaining one as your current ID is valid through October of 2020 for flying domestically and entering federal buildings. After that time, the new Real ID is needed, or a passport can be used in place of the Real ID after that date. Secretary of State Jesse White’s office began issuing cards that comply with the federal Real ID Act in January, and they are now available at all 138 driver services facilities statewide. Seventeen state troopers have been hit along Illinois roads so far this year, which is double the total of eight troopers struck in all of 2018. It is unprecedented how many Illinois cruisers have been struck in just the first 3 months of this year, with three of those accidents involving state trooper fatalities. It’s dangerous work, and sometimes tragic accidents are unavoidable. But this should be another grave reminder to all of us: Slow down, pay attention, and move over when there are vehicles on the side of the road. In Springfield, lawmakers have continued the push to enforce “Scott’s Law,” to encourage Illinois drivers when approaching any police or other emergency vehicle stopped along the roadway to proceed with due caution, change lanes if possible, and reduce your speed. There have also been legislative proposals to make it easier for police to ticket violators of this as a further step to encourage safe driving practices and protect first responders, state troopers, or police who are roadside. If you or someone you know is planning on visiting Springfield and the State Capitol, be sure to let my office know! I always enjoy meeting constituents from my district! However, I do need to know when you will be there so I can be sure I have time available to meet with you. Don’t miss my video so you know the best way to contact me before planning your trip! I recently read a news article that discussed the billions of dollars left unclaimed in all 50 states by deceased relatives. That money is held by the states until it can be rightfully claimed. Illinois’ own program, iCASH, is responsible for returning $703 million in assets back to Illinois residents. The Illinois State Treasurer’s iCASH program makes it extremely easy to check and see if you have any money left to your name, or any one in your family. I can personally attest to the iCASH program after recently using it. I was surprised to find out that a check over $500 was waiting to be claimed for one of my deceased relatives. It is a quick process that takes only a minute—and is worth seeing if you have any cash waiting for you!